Since technology is changing lives day by day due to astonishing novelties, it’s very important for Physicians and medical experts to stay up to date on new tech trends in order to make healthy life possible for everyone. On this web page, we have gathered some totally unique and handy doctor gadgets that they can use for authentic and quick diagnose of various medical issues as well as to make the treatment easier than ever. Certainly, it’s ordinary that technological advancement should help human beings enjoy a better lifestyle by providing the best possible healthcare as they need and below listed awesome tech gadgets for physicians could be the plus point for medical industry to get things better not only for healthcare experts but for patients as well. Something like headphones that doctors hanging around their neck all the time (while in the hospital or at the clinic) is known as a stethoscope. 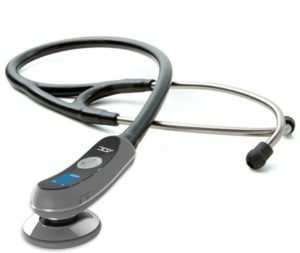 The digital stethoscope is one of the best tech gadgets for physicians to hear the heartbeat of patients in a totally new and digital manner. By using this amazing medical gadget, you can record what you here, share and most importantly can fetch with the medical examination reports of the patients. It comes with plug and play feature makes it easy for physicians to hear via their mobile headset or earplugs more conveniently. In simple words, traditional stethoscopes have totally been upgraded to an incredible level. When it comes to take a blood sample for a medical test or to inject into the vein, most of the doctors often struggle hard to find the vein. But, with help of the acccuvein (a vein viewing system) veins viewing made faster and easier as well. 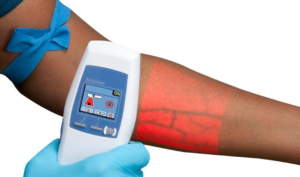 It is one of the trendy tech gadgets for doctors that digitally display the network of the vasculature on the surface in order to allow the doctor or medical expert to verify vein patency. It is the portable and light-weight medical gadget that doctors can use to easily perform venipuncture with accurateness and in less time. 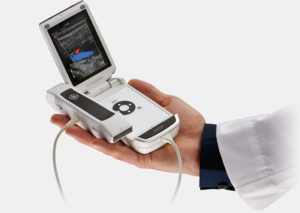 GE Vscan is also securing a visible position in the list of best tech gadgets for physicians. Sounds like a tiny ultrasound that allows doctors to access many systems of the body including the abdominal, cardiac, urology and thoracic etc for authentic and quick diagnosis. Amazing medical gadget name as GE VScan helping doctors to speed up the decision making process because they almost need scanning reports to reach the decision and it is the quick way to get the scanning done and reports prepared. 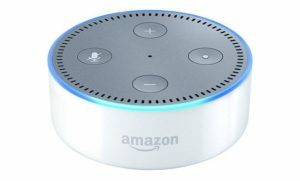 Whether you are a medical expert or physician, Amazon Echo Dot would be the best medical gadget for you because it is a great voice-controlled device which is not only used to play music but for many other reasons such as to sync meetings, to search for pertinent medical data or information, read the medical news, set alarms and so on. A doctor can easily keep a recording of a medical conference, meeting or seminar to hear it later for many reasons. 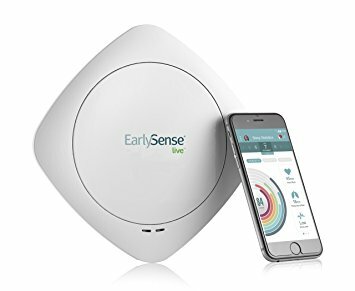 EarlySense Proactive is a great technology invention that facilitates the medical experts and the medical staff as well to lock up all the vitals of patients while in the medical examination room. By using this amazing tech gadget for physicians, the time of transferring patient’s room to room can be decreased. Chances of mistakes can also be reduced while examining the medical condition of a patient because it tracks the medical details from heart rate to respiratory rate quickly and transferred to the EMR system. 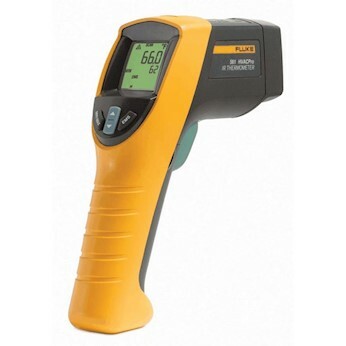 Believe me that infrared thermometer provides the temperature reading within the second with high accuracy. Yes, it can. This incredible tech medical gadget is not only for doctors even you can also keep it in your personal first aid box. These Infrared Thermometers are great for kids who feel hesitation while attending the doctor for a medical checkup. At home, these can also be used to measure the warmth of different things like kid’s milk bottles or bath water to check whether it is suitably hot or not.